So what's the real story with the United States Postal Service? 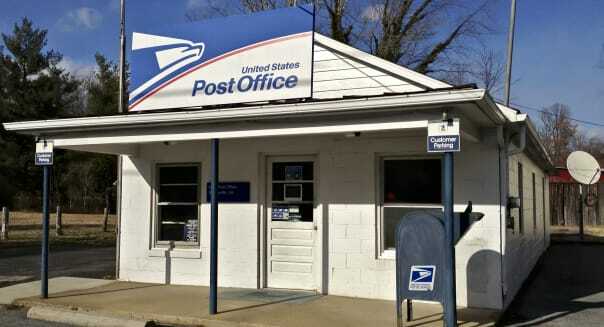 Is business booming, or is the Post Office going bust? That's the mystery we'll try to unravel for you. With revenues up 2 percent, the Post Office closed the gap between the money it brings in and its cost of doing business. If you don't count the Post Office's obligation to contribute $5.7 billion annually to the Workers' Compensation and Postal Service Retiree Health Benefit Fund, costs in the third fiscal quarter grew only 1 percent year over year. and an increase in standard mail (0.9 percent) and package deliveries (up a very strong 7.7 percent). The problem, of course, is that the 7.7 percent increase in package deliveries comes with some serious implications for Post Office profitability. As The New York Times recently observed, "a large portion of the increased revenue in package delivery comes from contracts with FedEx and United Parcel Service." And unfortunately for the Post Office's fiscal health, delivering packages on behalf of FedEx (FDX) and UPS (UPS) may not be the best way for it to make money. Meanwhile, the Journal notes that while FedEx and UPS both charge big package retailers such as Amazon.com (AMZN) $7 or $8 to deliver a package, they outsource the most labor-intensive leg of their deliveries, deliveries to customer mailboxes, to USPS -- for less than $2 a package on average. Consider the situation from the perspective of FedEx and UPS. If USPS charges rates for package delivery similar to what it would cost these companies to do the work themselves, then there would be little incentive for the companies to pay USPS to do the work. Conversely, if FedEx and UPS are paying USPS to do their work for them, it stands to reason that USPS must be doing the work for less than the companies would ordinarily charge. Put plainly, USPS must be either leaving money on the table when working for FedEx and UPS or actually losing money on the service. Result: In part because it may not be charging FedEx and UPS enough for its work on package delivery, USPS' Q3 loss ballooned more than 170 percent over Q3 2013 levels, to $2 billion. Think $2 billion in losses sounds bad? It's about to get worse. A lot worse. Turns out, as the U.S. Postal Service has been working to close the gap between revenues and costs by plugging in low-margin package deliveries, all those packages have been straining the ability of USPS' fleet of delivery trucks to carry them. According to the Journal, USPS CFO Joseph Corbett says accommodating the new flood of packages will necessitate USPS spending $10 billion over the next four years to "replace our aging vehicle fleet, purchase additional package sorting equipment and make necessary upgrades to our infrastructure." Unfortunately, that's $10 billion that the Post Office doesn't have. In fact, Corbett says that money's so tight right now, USPS "will be unable to make the required $5.7 billion retiree health benefit prefunding payment to the U.S. Treasury, due by Sept. 30, 2014," according to the USPS news release. So the need to spend an additional $2.5 billion annually over each of the next four years is almost certain to bust the Post Office's budget. Conclusion? The next four years are almost certain to be much like the last few for patrons of the U.S. Postal Service. A nonstop stream of complaints that the Post Office is going broke and pleas to Congress for permission to raise the cost of postage stamps, cut delivery days, lay off workers and close rural post offices. Neither snow nor rain nor heat nor gloom of night ... can change the facts. Motley Fool contributor Rich Smith has no position in any stocks mentioned. The Motley Fool recommends Amazon.com, FedEx and United Parcel Service. The Motley Fool owns shares of Amazon.com. Try any of our Foolish newsletter services free for 30 days.